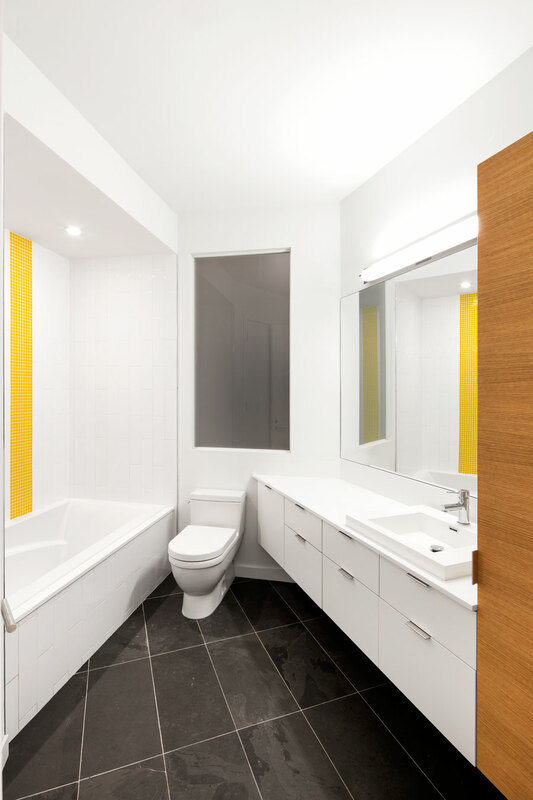 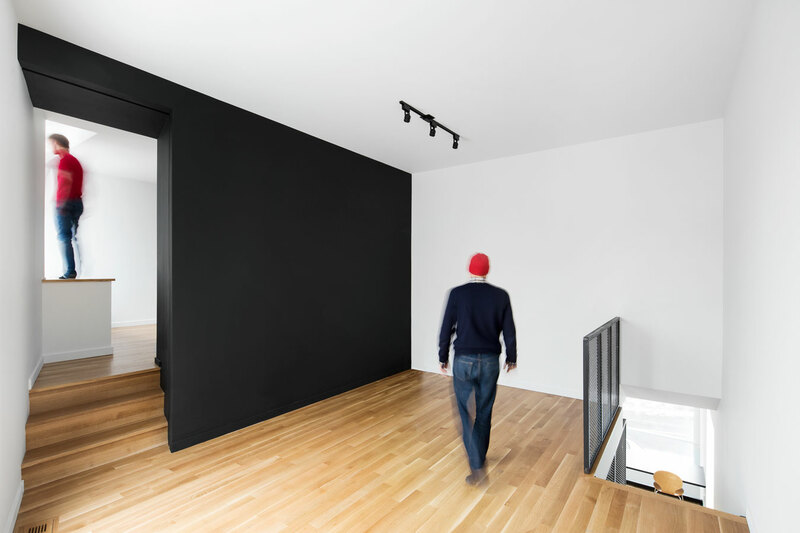 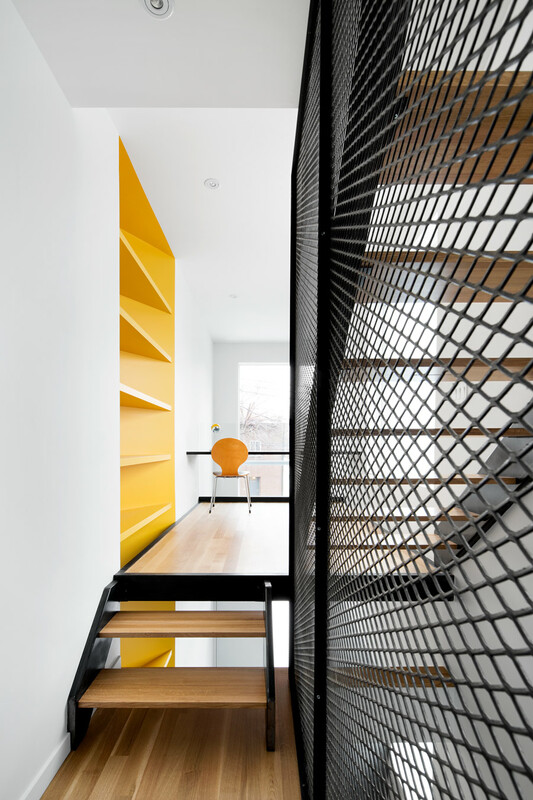 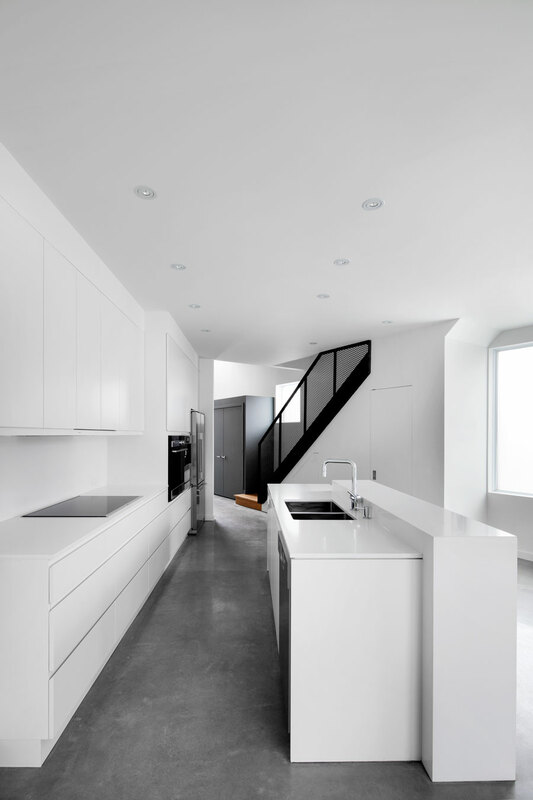 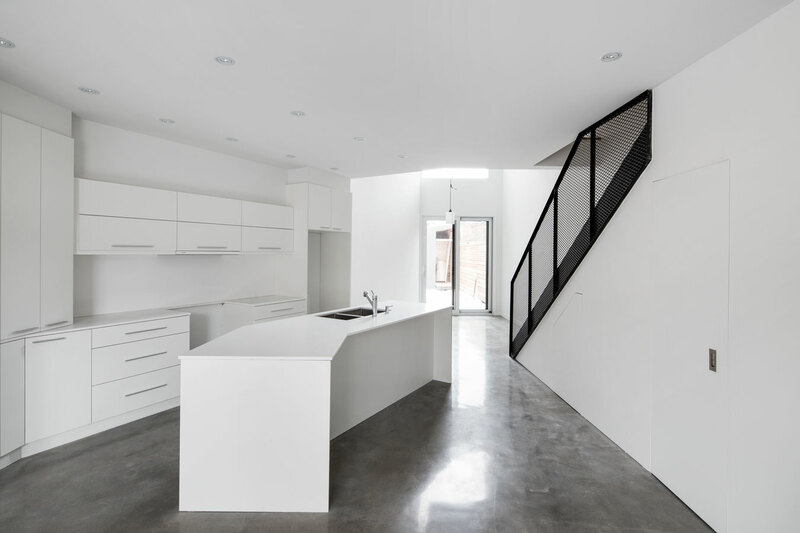 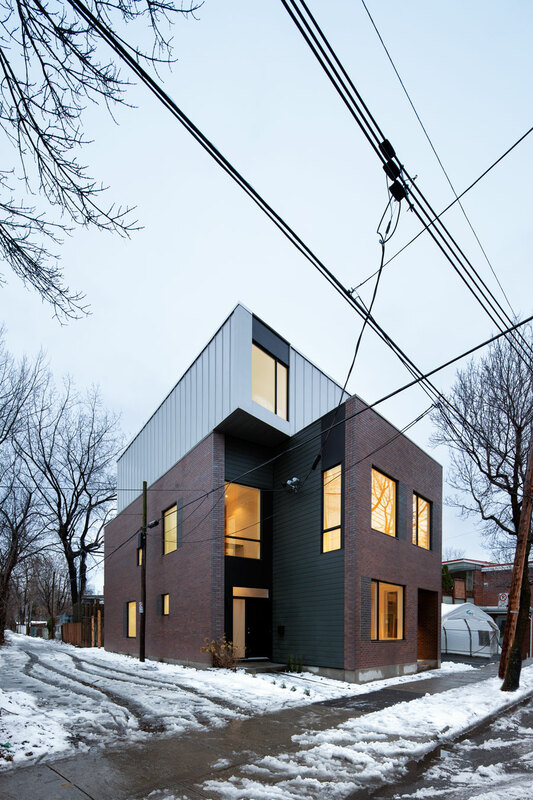 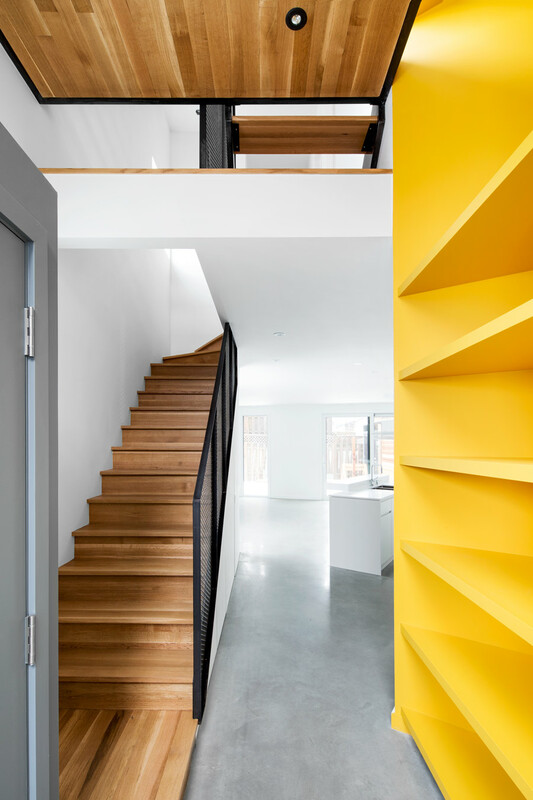 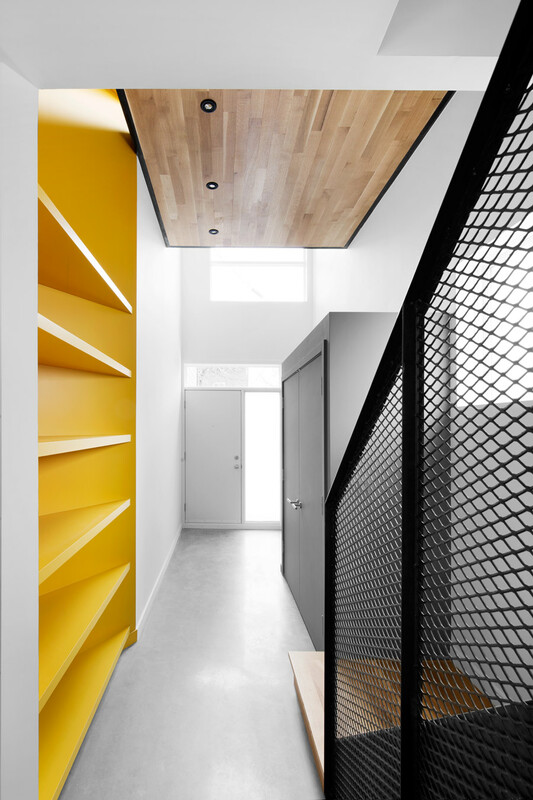 This project was completed for a developer/home builder at the intersection between Coleraine Street and a laneway in Montreal’s Point St-Charles neighborhood. 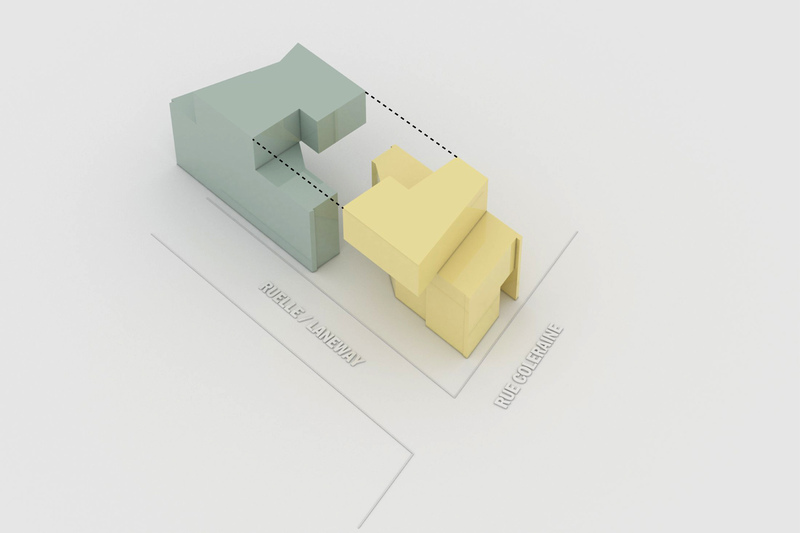 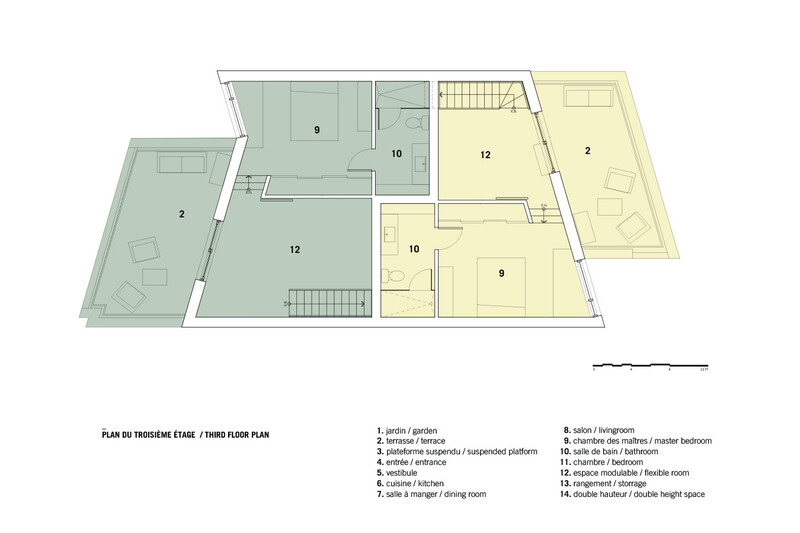 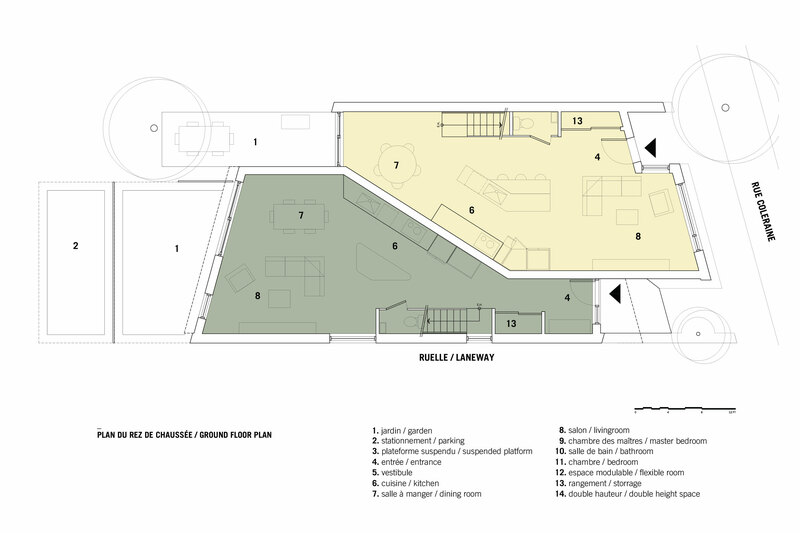 The basic program for this project required 2 row-homes on an 8.7m wide lot. 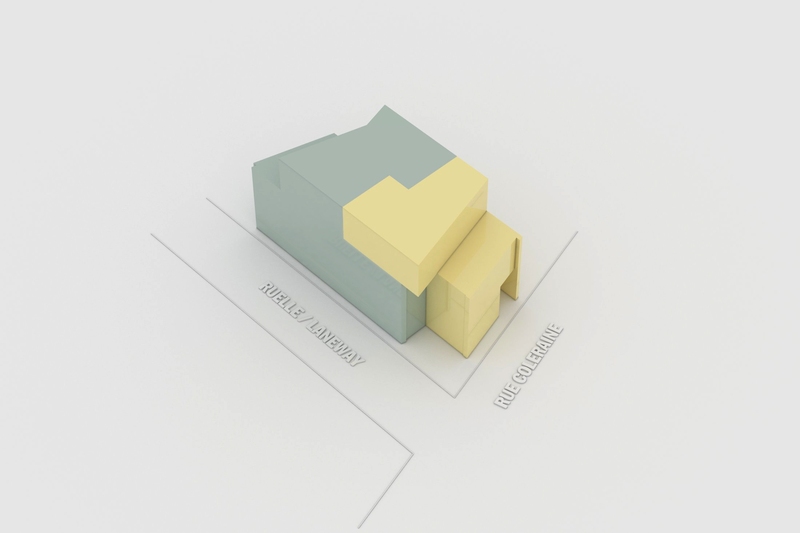 After accounting for setbacks and other constraints, traditional planning approaches would have resulted in 2 long narrow houses, which severely lacked natural light. 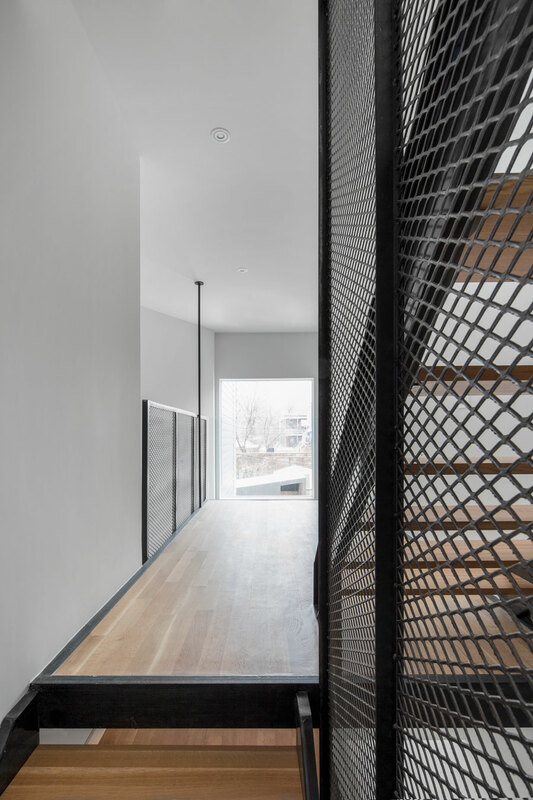 Our solution was to intertwine both units in a zigzag fashion, maximizing on natural light, and creating dynamic angular spaces. 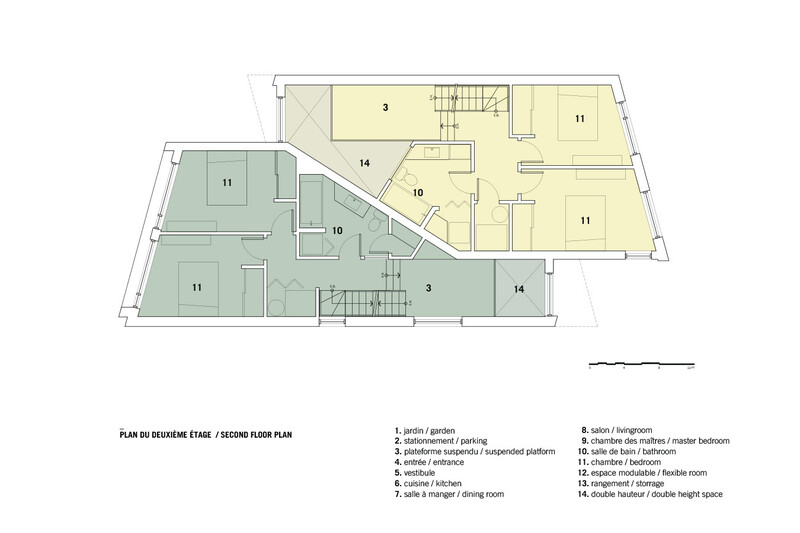 The two units intersect at the top floor to create an intimate space for a master bedroom, an office, and a terrace in each unit. 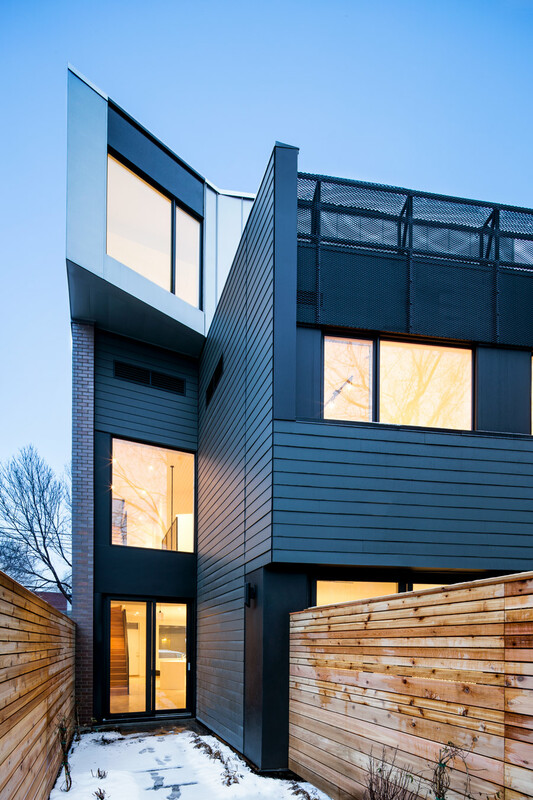 This design was reinforced by the site’s footprint, which has a 75-degree angle at the intersection between the street and the laneway and further inspired the creation of angular forms and oblique perspective lines within the interior. 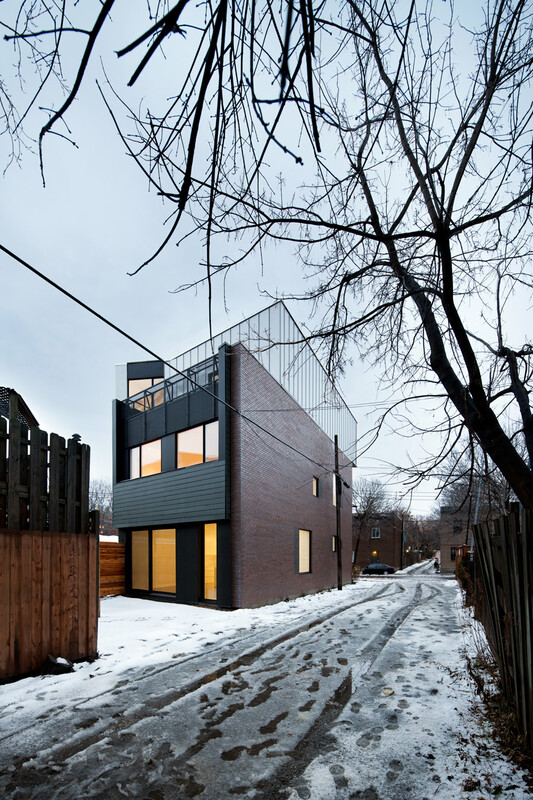 The building is composed of a brick base, which relates to the neighborhood vernacular, and is topped with a contemporary angular volume clad in steel that cantilevers over the base. 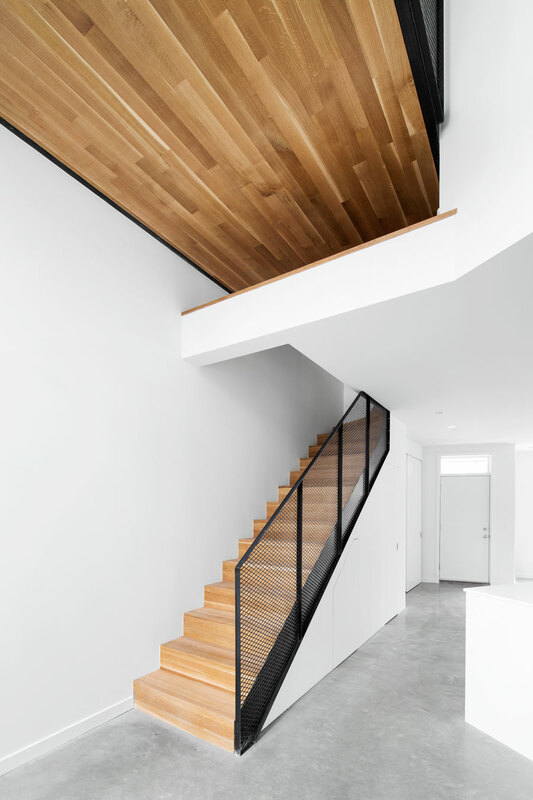 The minimalist interiors each have a double height space with a suspended wood platform. 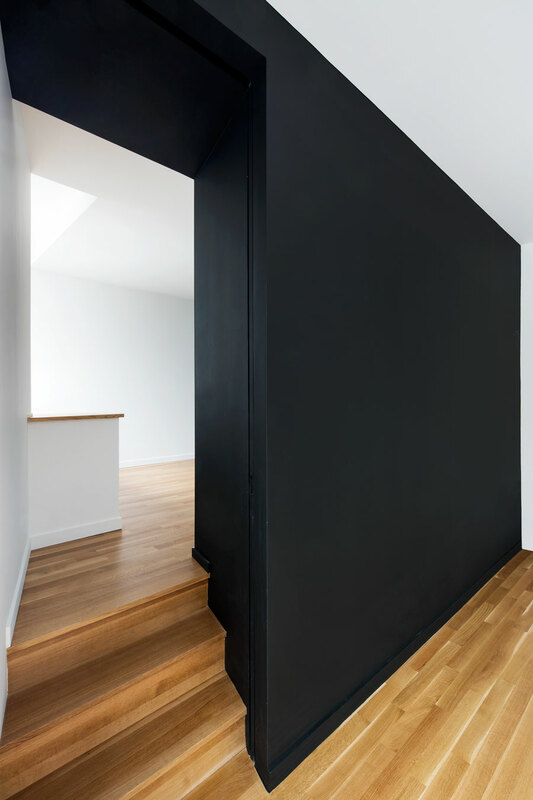 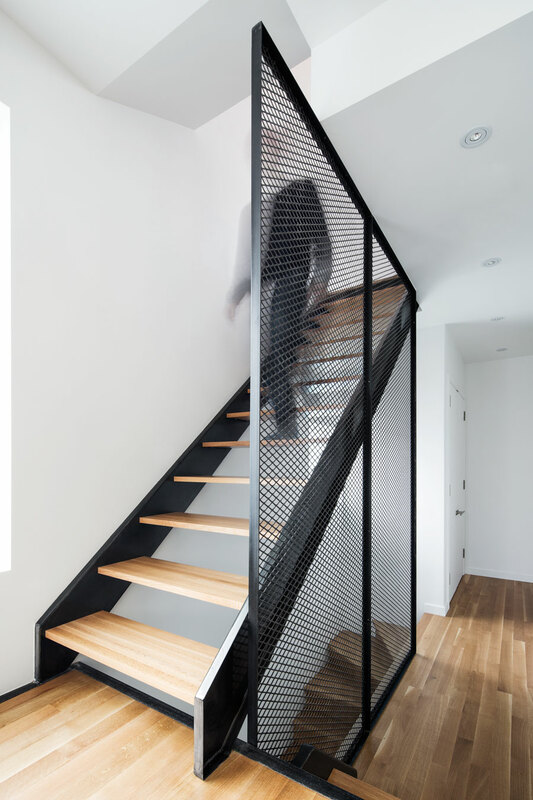 The stair, wrapped in a black expanded-steel handrail, ascends to the master bedroom where a reading nook bathes in natural sunlight.